A woman who was sexually assaulted as a child by a restaurant manager has spoken of her disappointment after he avoided jail. 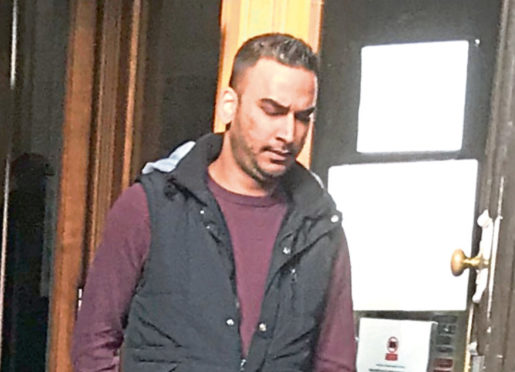 Koyes Miah, 29, who was previously manager of Taste of India in Westhill, was handed 300 hours of unpaid work at Aberdeen Sheriff Court after being convicted over a string of offences against under age girls. And one of the teens subjected to his actions has bravely spoken out about her ordeal following his sentencing. The young woman, who cannot be named for legal reasons, said: “It was horrible. “I got really bad flashbacks and I found it difficult to trust people. Miah, of Great Northern Road, Aberdeen, was convicted after trial of a total of six charges dating between September 2017 and November 2017 at an address in the city. He was found guilty of three charges of sexually assaulting girls under the age of 16 by touching them over their clothing. Miah was also convicted of giving alcohol, or making alcohol available to girls under 16, and two charges of asking questions of a sexual nature to girls under 16.